Today is a sad day. Marcos Roberto Silveira Reis – “Saint Marcos” or just Marcos for short – announced his retirement. 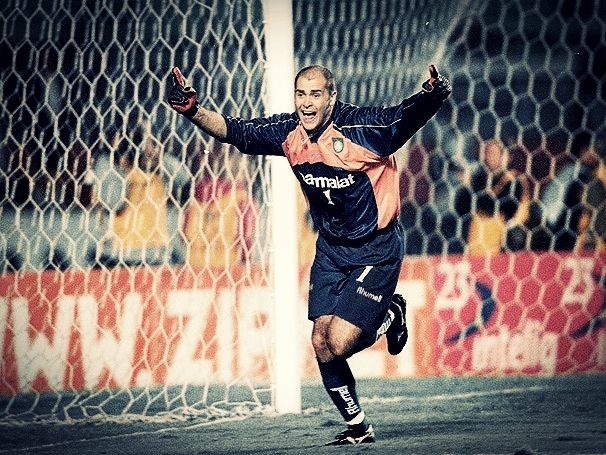 The news that not only one of the best goalkeepers but also one of the most respected and admired player in the history of Brazilian football is ending his career rapidly echoed in all Brazilian mainstream media. Today is a sad day, but today is also a glorious day. São Marcos – with 530 games for Palmeiras and 29 for the National Team – announced his retirement with all the dignity and simplicity we’ve come to always expect from this role model on and off the pitch: away from the spotlights and in a conversation this early afternoon with football manager Cesar Sampaio. At the age of 38 – of which no less than 20 in the Palmeiras jersey – his body is simply not cutting it anymore. Marcos will now take two months off to think about his future. The doors are open for him at Palmeiras, but exactly what tasks he would take on – if he in fact decides to stay at Palmeiras – is very much in the open. A desk job is not likely, but only time will tell. Marcos: there are not words enough to describe what you have achieved and what you represent for palmeirenses. Thank you! Thank you! Thank you!